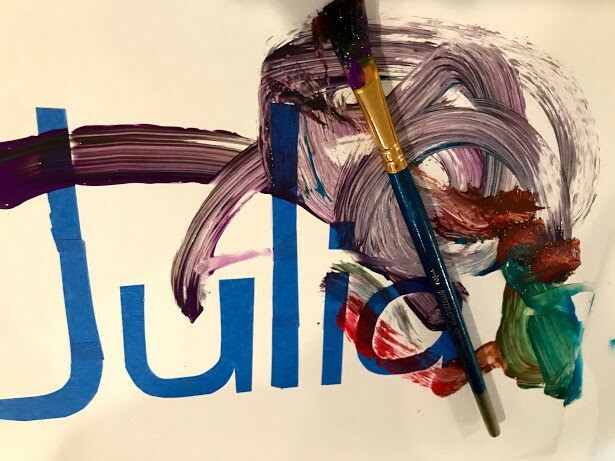 Creating a design or name using painter's tape allows your child to make a unique painted artwork. Simply remove the tape and voila! This guide contains painter's tape art projects. 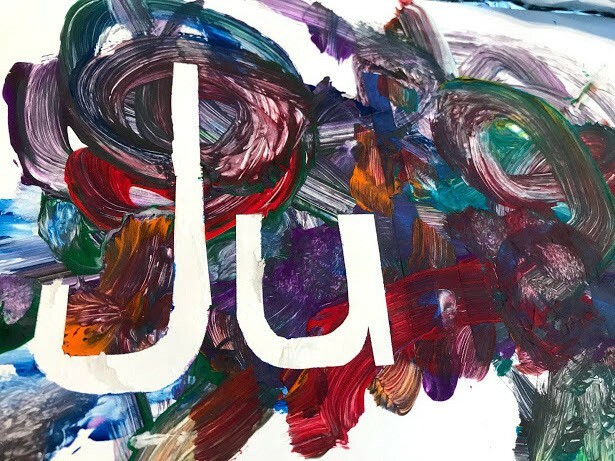 This is a fun way of incorporating your child's name into their art work. 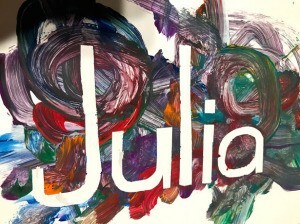 Lay out painter's tape on a piece of paper spelling their name and allow your child to paint. When you peel the painter's tape off you get a beautiful work of art with their name included that can be framed. You can do this on something as simple as paper, wood, or canvas. 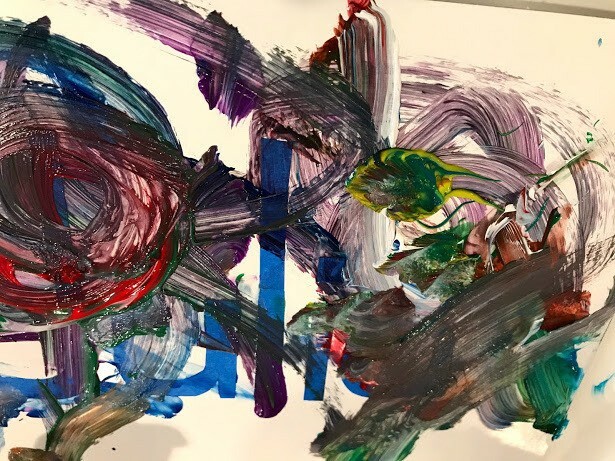 This art work was made by my 18 month old daughter. 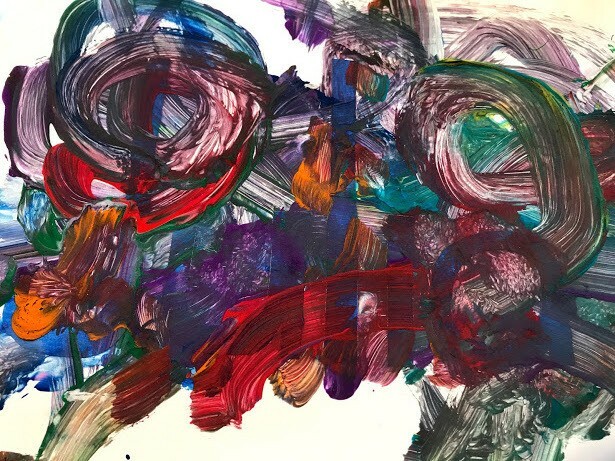 Total Time: Varies depending on your child's painting time. 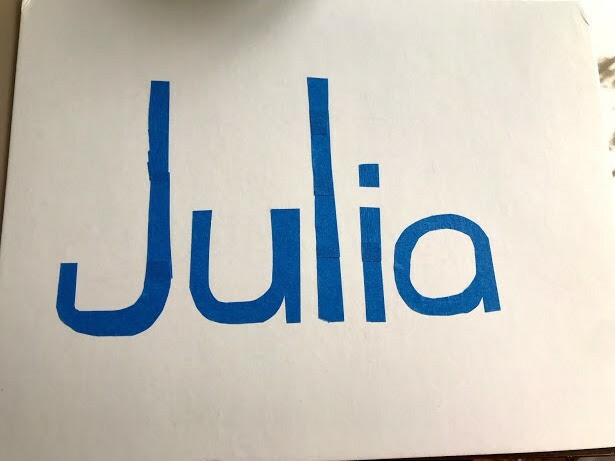 On a sturdy piece of card stock paper, use blue painter's tape and cut out strips to spell out your child's name (or any shape you want to create such as symbols or shapes). 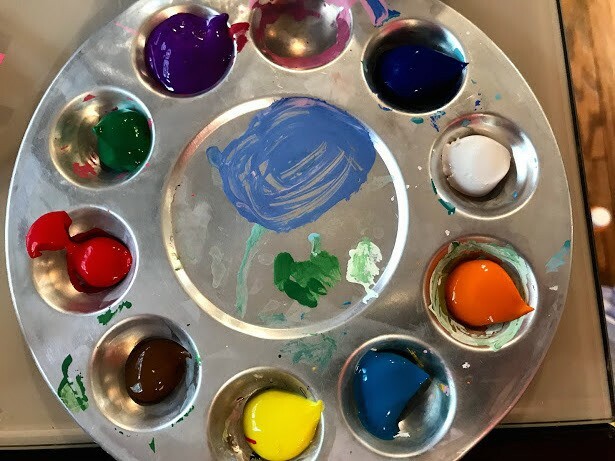 Allow your child to paint away. 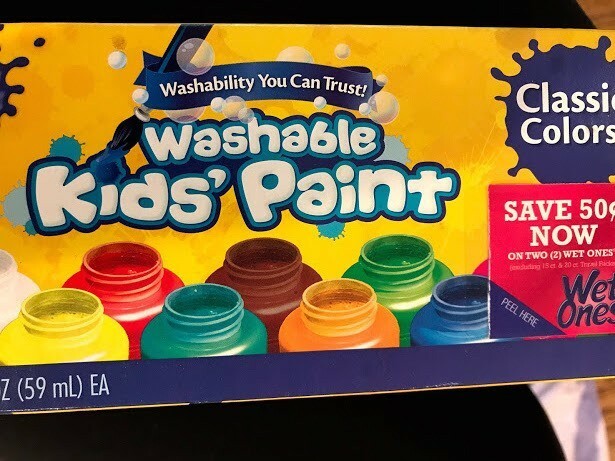 The paint used is Washable Kids Paint. 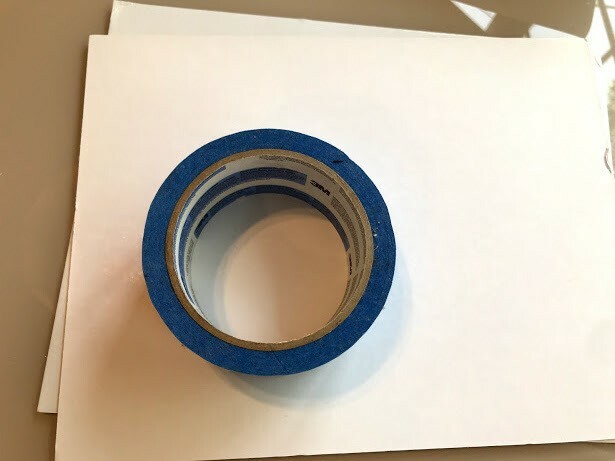 Once your child is finished painting, allow the paint to dry a little before peeling off the blue painter's tape. Once the painting is fully dry it is ready to frame, or hang/display. It is a beautiful art work. 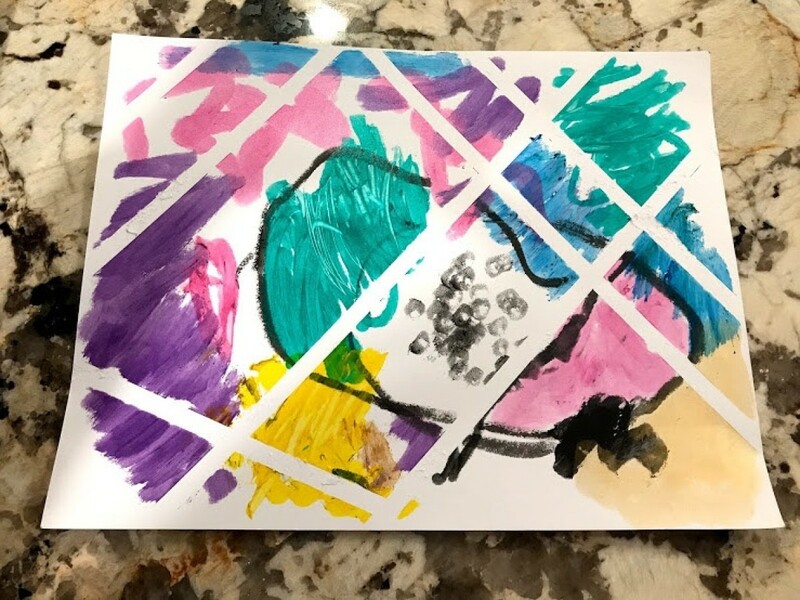 This is an easy and cute way of painting - perfect for all ages! Use your choice of tape that would easily be removable depending on your painting surface.